"A Drama of Women Enduring Oppression"
After the death of her husband, Bernada Alba forces her five daughters to endure a brutal mourning period that doesn't allow them to leave the house for years. Trapped in a repressive home, jealousy & envy soon erupts among the sisters as they each struggle for personal freedom. 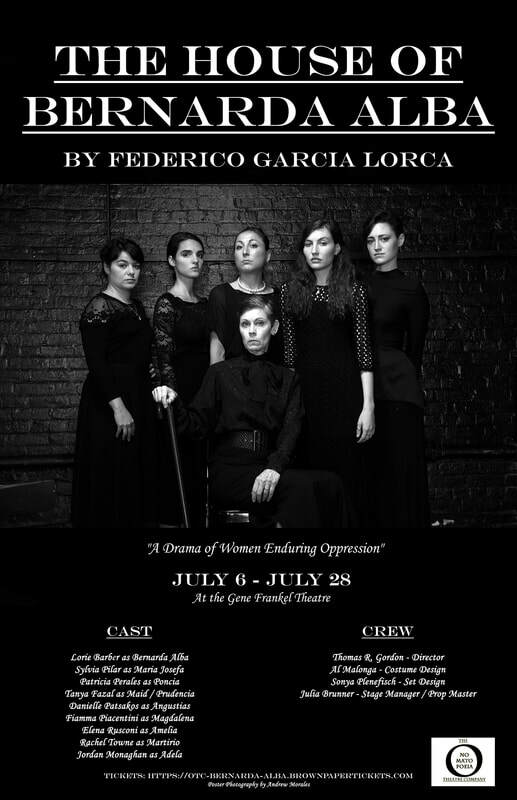 Passionate, lyrical & haunting, "The House of Bernarda Alba" is an epic Spanish tragedy that seeks to incite revelation & revolution from its audience. Please join The Onomatopoeia Theatre Company this summer as we explore what makes this play a timeless classic that still speaks to modern audiences.